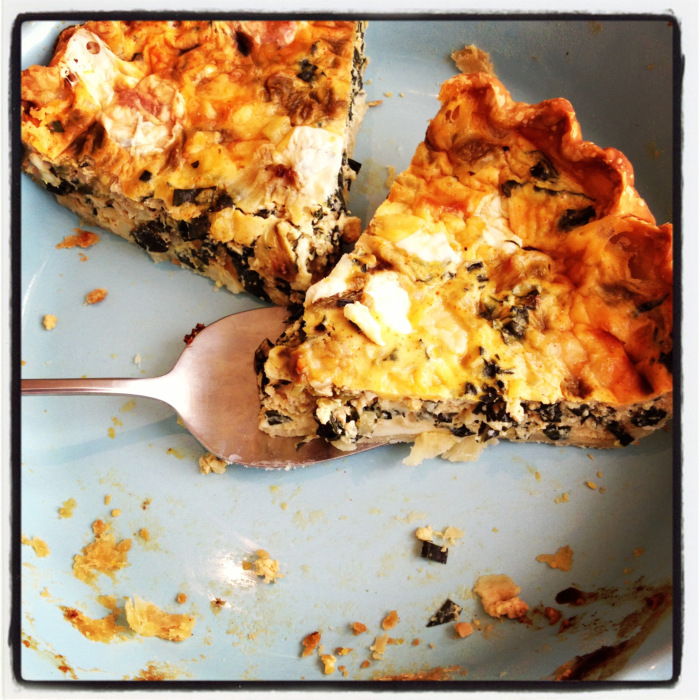 Summary: Rich with cheese, verdant with kale and spiced ever so lightly with Hatch chiles and chili powder, this savory tart makes a great brunch, lunch or light dinner. Heat oven to 375F degrees. 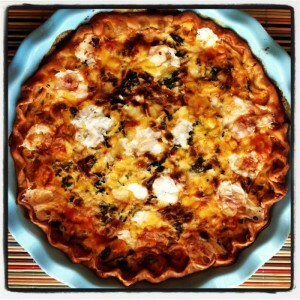 Unroll pie crust and place in a 10-inch pie plate; crimp edge and place in refrigerator. Microwave kale for 2 minutes. Drain and set aside. In a 2-cup measuring cup, pour half and half and milk. Add eggs, sour cream, garlic, salt and chili powder. Whisk well to combine. Remove pie shell from refrigerator and layer cheese, shallot, kale and chiles, ending with a layer of cheese. 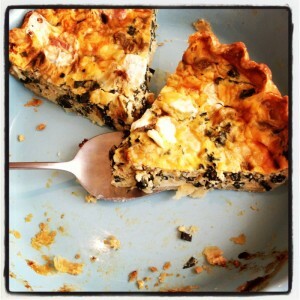 Pour egg-milk mixture over tart and bake for 45 minutes. Remove and cool for 20-45 minutes before serving. Tart is good slightly warm or at room temperature, so don’t think you have to serve it steaming hot. Cut into 6-10 pieces, depending on appetites and what else is on the menu. 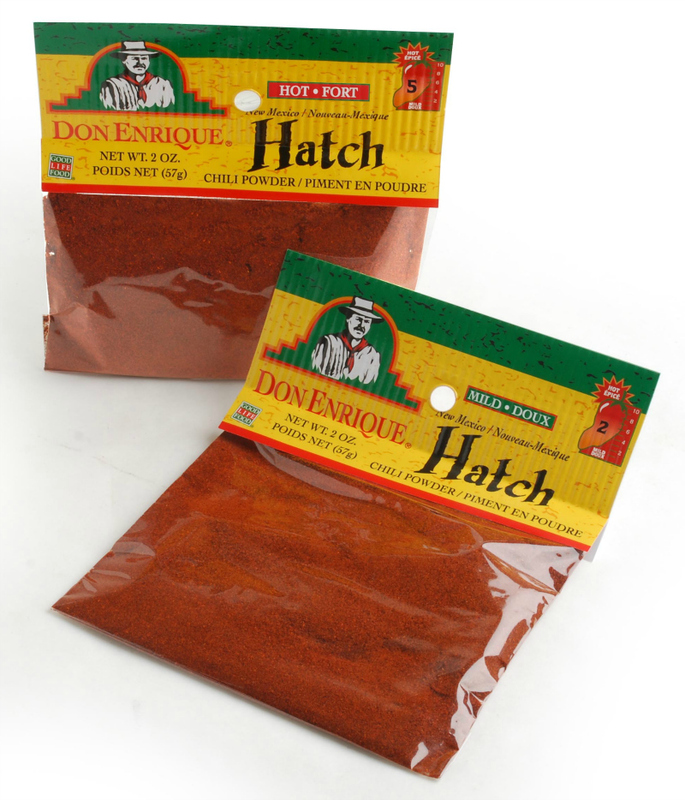 Don Enrique Mild Hatch Chili Powder is made from fresh New Mexican Hatch chiles that are dried and powdered. 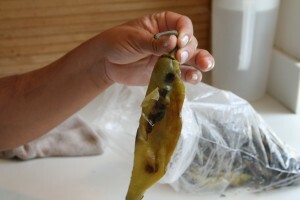 Although Hatch are green when fresh (available for a short time each year from August-September), they turn red when dried. 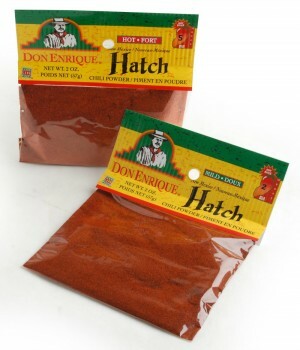 If you can’t find the Hatch powder at your grocery store, you can order it right from the source . Or sub your favorite chili powder. When Hatch chiles are in season, I recommend you buy a case and roast them . Use some immediately, and then chop and freeze the rest in 3- to 4-ounce containers for use in the future. For this tart, I defrosted Hatch chiles I had roasted, chopped and frozen in September. Or sub canned roasted, chopped mild green chiles. Created by Dorothy Reinhold / Shockingly Delicious. One of the best parts of #SundaySupper is our weekly Twitter chat. If you love food, you’ll want to join us! Just follow the hashtag #SundaySupper  on Twitter today, April 21 at 4 p.m. Pacific Time, and we’ll be chatting about food and fun for baby showers, bridal showers, and parties. Want even more #SundaySupper? Follow our #SundaySupper Pinterest board  for recipes that are sure to impress!